Kroger, the largest grocery chain in the country, will phase out the use of plastic bags in its stores by 2025. Until now, bioplastics made from renewable resources like sugar and cornstarch have historically been too brittle for wide industrial use. Post-doc researcher and lead author Xiaoying Zhao says she and her team have developed a new bioplastic that resembles conventional plastic, but has a smaller environmental footprint both in the way it's made and in the fact it's biodegradable. “Our research was to improve its flexibility and toughness by blending it with natural rubber," Zhao said. Rubber, although it increases a bioplastic’s flexibility, also tends to weaken the material. Previous attempts to blend bioplastics with rubber have weakened the material by up to 80 percent. To counteract that, the team used a new mix of chemicals to create a stronger material blend, and their result was a 30 percent strength loss. Zhao says their next steps are to explore its potential applications and work with manufacturers to scale up production. Going Plastic-less In The U.S. Plastic in the oceans. Plastic on the beaches, berms and ditches that line the roadways. A lot of that plastic has been used just once. In fact, geologists estimate that the entire earth could be covered with discarded single-use plastic such as straws, cups, plates and bags. And that plastic isn’t going away. In response, some cities want to ban single-use plastics. Today on All Sides, the shift away from plastic and toward zero waste. 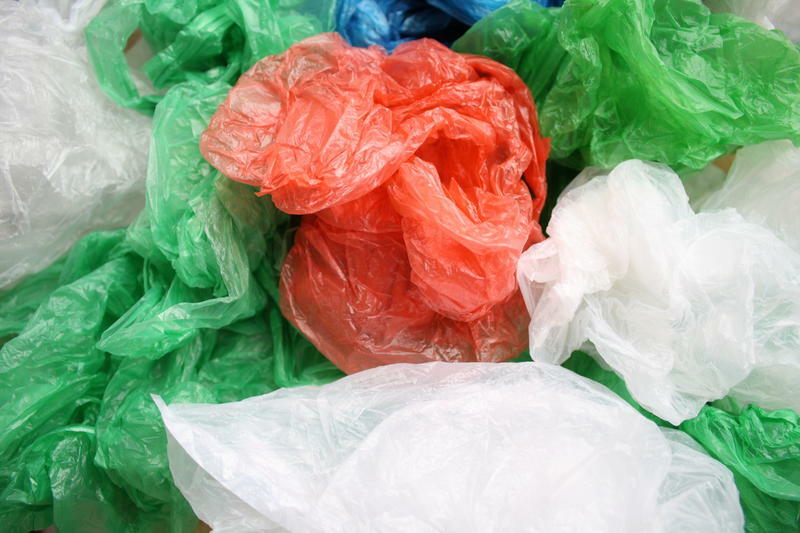 Ohio state lawmakers are trying to ban local governments from implementing fees on plastic bags. The legislation is moving through the General Assembly as major cities around the country move in the opposite direction.